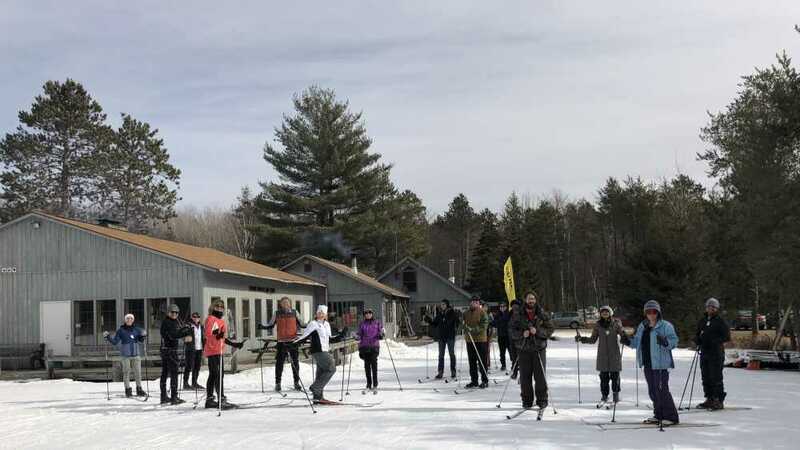 Learn how to cross country ski at our Saturday free ski lesson! This beginner lesson teaches the basics of cross country skiing, including classic diagonal stride and/or skate skiing, hill climbing and descending, and turning. We even teach you how to get up after you fall down! Each lesson ends with a mini ski tour to Trapper’s Cabin, where skiers can purchase hot cocoa and relax by the bonfire. Adults and children are welcome. If you need to rent skis for a nominal charge, please sign in at the rental desk no later than 10:15am. This lesson is free and lasts approximately 1 hour.